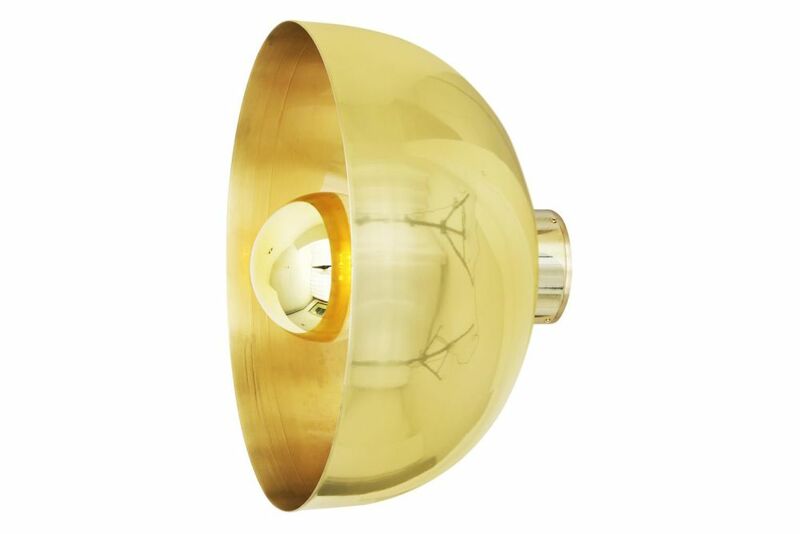 The Maua Wall Light is a distinctive and modern wall light with an eye-catching 30cm brass dome shade. Also functioning as a ceiling light, the Maua light will create a striking visual aesthetic wherever used. This modern wall light is simple in design with a single 30cm brass dome shade attached to a brass wall bracket. Inside the dome shade is an E27 lamp holder where a gold mirror-top bulb can be fitted.